“The Big 4” are the 4 public accounting firms that account for 80 percent of all business auditing done in the United States in addition to a sizable portion of professional services relating to global finance. Furthermore, they offer competitive and comfortable salaries for all of their employees, including entry-level positions, making them the dream job for those pursuing accounting or finance. 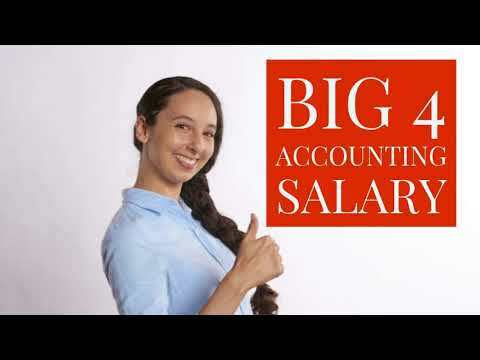 So how do you know which of the Big 4 accounting firms are right for you? Provided below is a breakdown of the big four firms and an average starting salary range for each of them, plus some extra information to help determine starting salaries and potential revenue growth. Over the course of their existence, Deloitte absorbed a number of smaller firms. Consequently, these services firm acquisitions helped lead them to their success as number one of the big four accounting firms in the world. Deloitte, also known as Deloitte LLP or Deloitte & Touche LLP, is a very powerful international firm capable of offering a very generous salary for prospective employees. In order to ensure you receive the higher end of the average Deloitte employee starting salary, which is in the range of $45,000 to $60,000 annually, it’s helpful to enroll in a university program run by Deloitte. On the other hand, a new hire with less experience with accounting firms, or one who isn’t from an urban location like London or New York, should expect a lower salary. However, with yearly promotions and advanced certifications, this is sure to change over time for any competent CPA or auditor on their payroll. With an average annual profit of $31 billion and more than 180,000 employees, PricewaterhouseCoopers is the number two accounting company in the world. Furthermore, they are the fifth largest privately owned company in the United States, making them an even more solid choice for aspiring professionals. A PricewaterhouseCoopers starting salary is in the range of $48,000 to $68,000 for a position as an accounting associate. Aspects that can influence your salary at PwC are location and prior experience. Like Deloitte, this company is centrally located in New York City, so working in the city ensures a higher salary. If you start as an intern with PwC or if you have completed a training program, your starting CPA salary is also likely to be higher. Finally, both Deloitte and PricewaterhouseCoopers feature a robust training program, but only PwC offers their programs free of charge to employees. In 1989, Arthur Young & Company and Ernst & Ernst merged to make the number three accounting company in the world today: Ernst & Young. 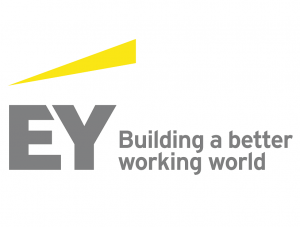 With annual profits of around $26 billion, Ernst & Young have experienced astounding revenue growth despite some challenges throughout their lifespan. Their main office is in London but they have locations all over the globe. The average starting CPA salary is in the range of $40,000 to $63,000 for an entry-level position. Ernst & Young are very popular for their employee diversity, which is a benefit if you are looking for a diverse environment. Higher salaries can be found in major locations like London or New York. It’s also a good idea to check out one of their numerous college recruiting events, even though they are not public or free like PwC. Still worth looking into if you are an enterprising accountant! Originating in Amsterdam, KPMG is home to 150,000 employees and report an average annual profit of $23 billion. They have locations all over the world including China, India, US, and many more. The average tax accountant salary at KPMG is in the range of $46,000 to $62,000. But, it’s a good idea to stick around for 5 years because then the average salary goes up to $106,000. KPMG offers free online training resources and college classes, which can help ensure a higher starting salary. KPMG is a diverse firm, like Ernst & Young, and their many international offices make them a culturally rich working environment. This means that you can benefit from higher starting salaries if you are located in China, India, or Europe, not just New York City. One thing to remember is that accountant salaries don’t stay at the same level, especially for hard-working, dedicated employees. There are noticeable pay increases when moving up in the ranks at all four firms, and that the amount you make annually is likely to change for the better, quickly too. If you’re graduating from a reputable school with an accounting or finance degree with a few years of experience or an internship, you could find yourself with a cushy accounting job right out of school, especially when you’ve got that CPA license in sight. Now that you have learned about how much you could make at a Big Four company, why don’t you get started and start learning about CPA Exam Review Courses?